David Cardwell is counsel in the antitrust and competition practice of Baker Botts’ Brussels office. His practice focuses on EU competition law, including a particular concentration on EU and international merger control laws. David has represented clients in significant mergers and acquisitions across many industry areas, including the technology, pharmaceutical, media, automotive and heavy industry sectors. He has counselled clients in merger reviews before both the European Commission and national competition authorities, including cases involving advice on media plurality, regulated water industries and defence-related mergers. David has also advised clients in respect of cartel investigations by the European Commission, and he provides advice on various other EU and international antitrust matters, including cooperation arrangements among competitors and abuse of dominance proceedings. 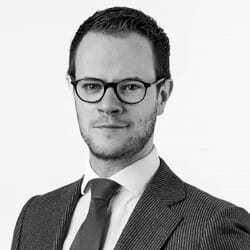 David has been named by Who’s Who Legal (2017) as a ‘Future Leader’ in competition law, and is noted for his ‘fantastic understanding of legal concepts’ and his ‘ability to take on very complex issues’.